How to get your WordPress website ready for https. Starting in July 2018, your site will be marked as “insecure” by Googles Chrome browser. We have added free SSL certificates for all our customers so that you are ready to go right now. Now, if you made the mistake to use absolute links or images in your WordPress in the past, you now need to change those from http:// to https://. You could simply go through each and every post and page of your WordPress and manually make that change. If you however have hundreds of pages and post like us, we suggest to use a Search and Replace plugin instead. Login to your Control panel and access Softaculous. Follow the steps until the backup is complete. 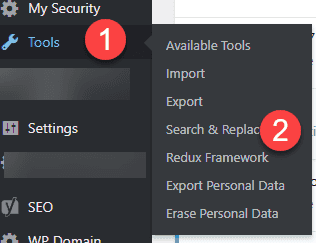 Now go back to your WordPress Admin. Now type Search and Replace in the keyword fields. Choose the plugin from “Inpsyde GmbH”. Install and Activate the plugin as usual. 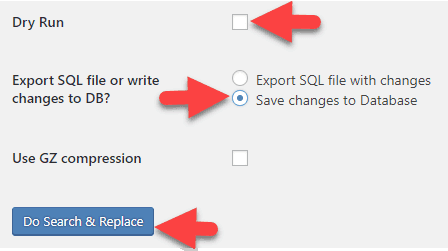 Now, if you want to be really safe, click Create SQL File and then Download SQL file. Now you click on the Search & Replace tab. Enter http:// in the Search for field. 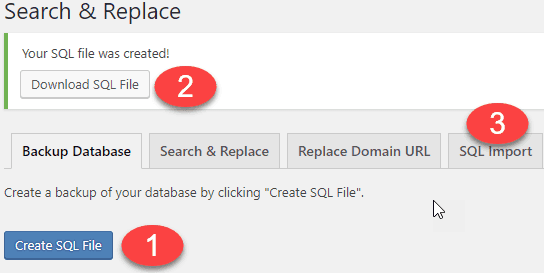 Enter https:// into the Replace with: field. and Dry Run. (This is to test what will happen before anything actually happens. Click Do Search & Replace. Clicking on view details will show you what actually will be changed. 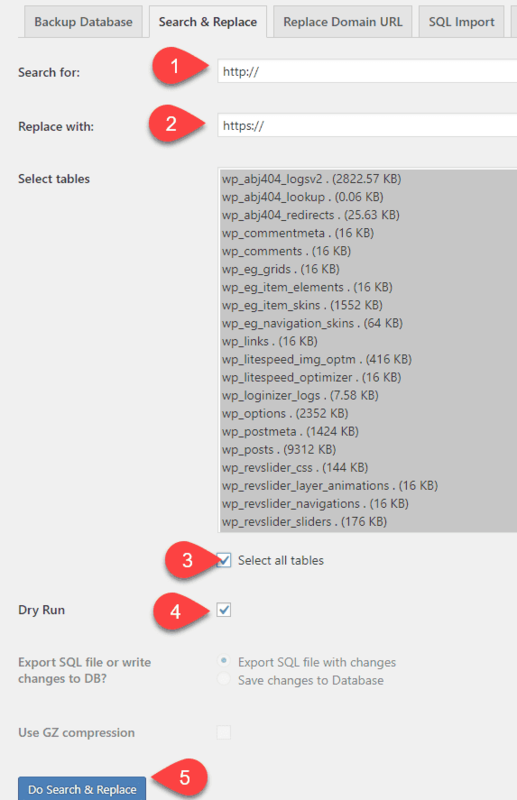 The last step is to UNCHECK “Dry RUN” and choose “Save changes to Database”. Click “Do Search & Replace” one more time and you are done. Clear your WordPress Cache as well as browser cache to check the results.